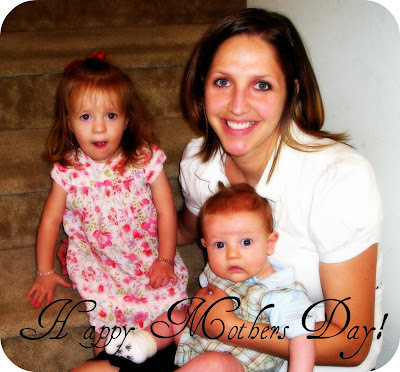 THe Bradley's: Happy Mothers Day! This post is dedicated to my amazing mother. Mom, you are my best friend. You are always there when I need you, and always know when to call. I can't count the times you have dropped your busy life to be there for me. You have been there for me as I struggle with being a mom and I don't know what I would have done without you at the birth of Scotlyn and Ethan. You are an awesome Grandma, Scotlyn loves her Grandma and asks every day about you. We wish we lived closer so we could see you more often. I love you Mom! You are such a sweet daughter! And I agree, the picture is great and you look beautiful! WOW, amazing picture! You should enlarge it and frame it! I love that you took time out for your Mom. SO SWEET! !